If you are considering a job in the construction industry, you have chosen the perfect time to apply. Construction is one of the fastest growing industries today, with high employment projections of 11% growth over the next decade, compared to the national forecast of 7%. The Bureau of Labor Statistics projects an additional 758,400 new construction and extraction jobs will be added to the industry by 2026. However, industry employers report a shortage of skilled construction professionals as a problem for future growth. The Associated General Contractor’s survey reported that 75% of employers expect to add jobs this year, but that 78% of firms consistently have trouble finding qualified workers. This trend is expected to maintain into 2018 as the availability of workers struggles to keep up with industry growth. High industry growth coupled with a difficulty to fill positions makes this the perfect time to begin a career in construction. Jobs in construction range from lower-paying, unskilled jobs to highly paid jobs that require on-the-job training, technical school or a related Associate’s degree. Construction jobs also pay well in comparison to other industries, especially for positions which do not require formal training or education. The reported median annual wage for all construction occupations was $43,610 in 2016–$6500 higher than the median wage for all jobs in the United States. Let’s take a look at some of the industry positions available for both entry, mid and high-level construction employment. Construction industry jobs vary in their specific requirements regarding skill sets, professional certifications, education and past work experience. Most entry-level positions allow mobility to higher positions after training for a specific length of time. Employers will often take into account attitude, reliability, job performance and adaptability. They will also take into account qualifications and certifications earned for promotion to jobs above entry-level. An entry-level position is typically the starting point for most individuals entering the construction industry. Often, no experience is required, but in specialized companies, work experience may be required in the form of a previous apprenticeship. Nearly all construction positions provide on the job training for individuals. Some examples of entry-level positions include demolition labor, landscaper, and general labor. Typically, mid-level positions require industry-related, on the job experience. They require specific skills and sometimes related certifications or technical coursework. Mid-level positions require employees to work with some degree of autonomy with good problem-solving skills and the ability to take on responsibility. Some examples of mid-level titles include CDL driver, asphalt worker, and heavy equipment operator. These careers typically come after many years served within one particular industry, with a strong background in the technical specifics of that field. These positions almost always require specific technical degrees or certifications. These are the highest-paying jobs in the industry, requiring a great deal of experience, skills and relevant qualifications. Examples of highly trained positions include electricians, plumbers, and mechanics. The construction industry has some great entry-level positions, which provide excellent flexibility for both growth and acquisition of skill sets. These positions do not require a degree or prior experience in most cases. Let’s look at a few top entry-level positions available today. Landscapers work outdoors, improving and maintaining the appearance of natural outdoor spaces. Common tasks include cutting grass, weeding, planting, sprinkler system upkeep and installation, mulching, and ice and snow removal. Landscapers should be willing to work outdoors for long hours. Entry-level landscaping positions may require a high school degree, although some tasks might require certification or training. The possibility for advancement is great, as many landscapers go on to owning their own business. Asphalt workers are responsible for handling materials used to pave road, highways and parking lots. Typically, they work on teams that set up job sites and prepare roads for new asphalt or make repairs to existing roads. The asphalt industry employs a variety of skilled positions, from road crews to engineers and material suppliers. Workers may be required to operate trucks and machinery on a job site as well, which may require additional certifications. Most training is provided on the job, with only a high school or GED required. These jobs are physically demanding with long hours, but pay rates, although varied, are some of the best for entry-level positions in construction. Demolition laborers typically work by demolishing old structures to make space for new structures. Demolition requires work with heavy machinery, explosives, and other demolition equipment. This type of work is often very physical, requiring strong stamina, good coordination and an ability to follow supervisory instructions. No formal education is required for entry-level demolition labor, which makes this position ideal for those seeking positions that don’t require certifications or formal education. Most demolition labor positions start between $8-11 per hour and go as high as $15 per hour with some experience. General construction laborers perform all kinds of tasks on a construction site. Some tasks require little skill and are easily learned, while others require extensive experience and training. Common jobs include cleaning and preparing job sites, loading materials, using tools and machines such as forklifts, levels, and saws, as well as erecting and taking down scaffolding. They may work for carpenters, masons, construction sites or specialized contractors. Candidates should have good physical strength and stamina and an ability to follow directions. According to the BLS, general laborers earn an average annual salary of $35,550. Mid-level positions function as an advancement point for entry-level employees who have gained some experience and show an ability to handle responsibility. These positions are often available to those candidates who have just a few years of added experience. Some positions may require relevant certifications or technical coursework, although many do not. Mid-level positions require greater levels of responsibility and often involve supervision of other employees. Mid-level employees often coordinate between supervisors and entry-level staff. CDL operators are long-haul or heavy trailer truck drivers. Requirements include a certification with the American Association of Motor Vehicle Administrators, although this varies by state and depends on the class of vehicle driven, cargo, etc. CDL operators will likely operate with a Class A or B license. CDL operators should possess an attention to safety detail and a willingness to work long, hard hours. Salary typically depends on experience, industry, and state, but most drivers are paid as a share of revenue, so there are no caps on earnings. Average salaries for CDL operators are $64,000 per year in transportation and courier industries. A carpenters job may entail construction, installation, commercial building repair, home installations, etc. A carpenter might install the framework, pour concrete, or aid with rigging hardware. Many companies offer practical and skill-focused training at all levels, with carpenters acquiring skills to move upwards over years of apprenticeship. There’s no limit to how much a carpenter can make, but recent BLS statistics show carpenters working in residential construction had a base pay of $43,000, and those in commercial construction earned upwards of $49,500. Concrete finishers are responsible for completing the final processes in laying concrete. They use both power and hand tools to finish and smooth poured concrete such as roads, curbs, sidewalks, and floors. They may also work in a supervisory position, directing a team in pouring and casting concrete. There are no specific educational requirements to work as a concrete finisher, but most skills are learned on the job through an apprenticeship. Entry-level concrete workers may move up to the more skilled finisher position with time. BLS reports that more than 178,000 concrete jobs are available every year, making this a viable career option. Heavy equipment operators are responsible for operating and maintaining machinery used in fields of engineering, construction, excavating, and installation. Equipment may include compactors, excavators, bulldozers, cranes and large trucks. For most positions, a high school diploma is required, but the majority of positions will require on the job training and related equipment certifications for heavy machinery operation. Candidates will also have to have a commercial driver’s license (CDL). Often, contractor associations sponsor apprenticeship programs. Wages depend on company and location, but as workers gain experience, salaries range between $35,000 and $55,000 annually. The highest paid positions within the construction industry are also the positions requiring the most training and/or certifications and related technical education. Most often, these positions require working on the details of a construction site, such as electrical or plumbing fixtures. They may also include working as a mechanic for large machinery or a position requiring a great deal of skill, only acquired through experience. Let’s look at three of the top skilled positions within the construction industry. Electricians may work on residential, industrial or commercial electrical construction and maintenance. Their responsibilities include the installation, maintenance, and repair of electrical systems. Most electricians will complete formal apprenticeships before taking on full responsibilities. Most positions require vocational training or related certifications, especially for larger or more complicated project positions. Electricians typically make an average of $51,800 annually or $25/hour. Some job opportunities find top electricians making upwards of $44/hour. The primary job of plumbers and/or pipefitters is to install, fix and adjust pipes and other equipment involved in gas and liquid distribution. Plumbers must complete a vocational program, and most will complete an apprenticeship before taking on complex projects. Others may attend a technical school for training. Plumbers can be employed on residential, commercial and industrial sites. They may also work as a supervisor for a plumbing/pipe fitting team on large, extensive projects. Plumbers make an average annual salary of $50,620 or about $25/hour. Plumbers are required to be licensed in most states. Construction mechanics are primarily responsible for repairing and maintaining construction equipment and other large machinery on site. They perform some of the most important jobs within a construction setting by keeping equipment functioning optimally and preventing breakdowns. Often, construction mechanics will specialize in either electrical or mechanical maintenance, earning at least a technical degree. Most positions require 2-3 years work of related mechanical experience. Responsibilities often include oversight of both equipment and other mechanics. Top positions, especially those for large equipment, can make upwards of $70,000 annually, making this one of the top paid positions within the construction industry. Whether you are just graduating with a technical degree or looking to change career industries, you will be one of many applicants looking to get that job. Getting a call back can be difficult, even if you have good experience. Using a staffing agency can make all the difference. 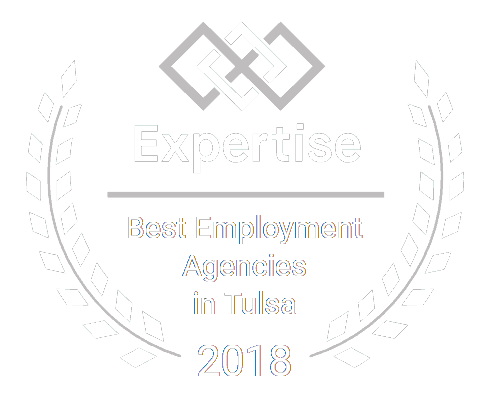 They are connected with all of the top construction employers in your area and can connect you with the right construction job in this fast-paced and competitive industry. There are more positions available within construction than there are workers to fill them, so finding the perfect position for you is important. Staffing agencies may also have access to job openings that are not publicly available. 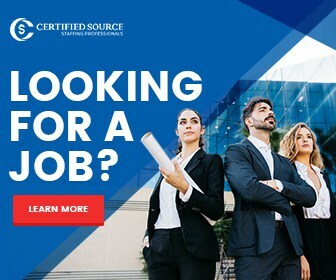 Certified Source is one of the premier staffing agencies in Tulsa, Oklahoma, employing the most trusted and experienced staffing professionals in the industry. Our organization is dedicated to quality service. We focus on local construction markets and connecting employees to employers with custom tailored staffing solutions. 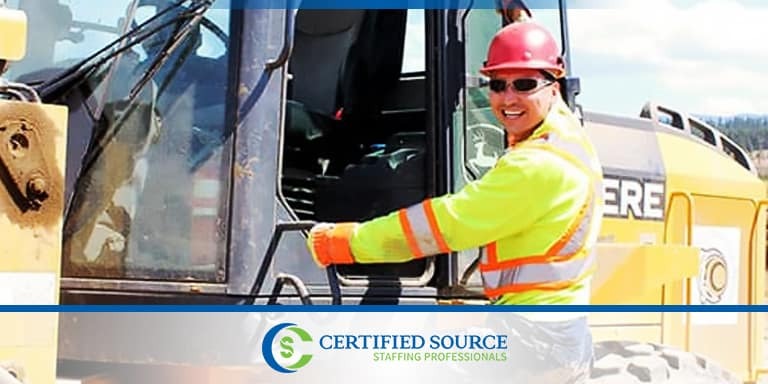 Whether you are looking for your first entry-level position in the construction industry or have years of experience and are ready for a position with more responsibility, contact us today at Certified Source. 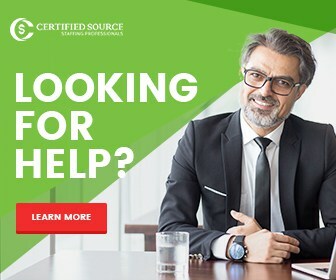 We are here to connect you with that perfect job!